than ever thanks to the new Rittal TopTherm Configurator. The online tool will help users precisely determine the necessary cooling output, quickly select the appropriate solution, and automatically compile all the technical data – in just four steps. “We have had more than 8,000 requests about the configurator in just three months, which underlines just how interested customers are in the benefits it offers,” says Christian Westwood, Rittal’s product manager for climate. The tool, which is available in seven languages, helps designers and technical buyers in mechanical engineering to design chillers (recooling systems) quickly and easily. The Configurator offers an accurate and automated basis for calculating the cooling output required, and helps in quickly selecting the appropriate chiller in the 1 to 40 kW power range. The range of functions includes interactive product information on the extensive system accessories. Defined optional packages are also easy to configure. Drawings for compiling quotations or for engineering can be quickly downloaded in dwg, pdf, and 3D-pdf formats, and users can also download parts lists, specifications and tender texts, as well as cooling and pump performance characteristics. It means all the necessary technical data is available with just a few clicks of the mouse and data can be easily transmitted to the manufacturer during the tendering and ordering procedure. The Rittal Configurator is available in German, English, French, Spanish, Italian, Dutch and Russian on the web. Kiesling has launched a new 3D laser centre, the Perforex LC 3015, significantly expanding the performance range of its Perforex enclosure machining centres. As well as machining panels, manufacturers of controllers and switchgear can now quickly process complete housings such as the AE compact enclosure and the TS 8 enclosure system. 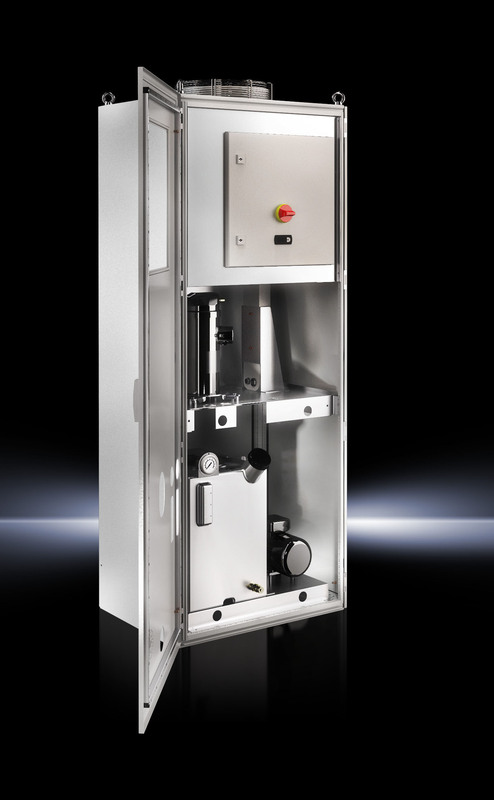 Fully welded enclosures such as the Rittal SE 8 can be machined from a number of sides and in one operation without re clamping being required (instead, they only need to be placed on the surface of the machine) speeding up the process further. 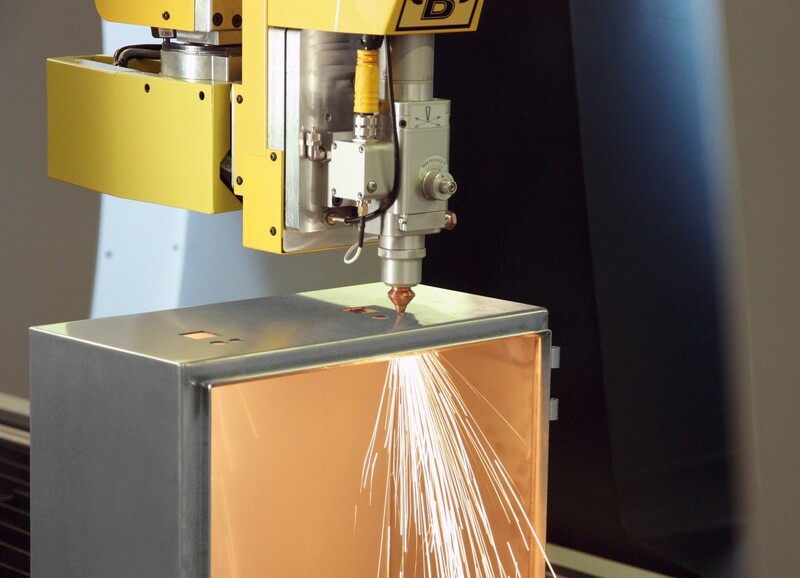 While the machining of stainless steel surfaces has been associated with high tool wear, extended processing times, and high noise levels, machining with laser technology is non-contact, quick and offers little vibration, leaving the cut edges un tarnished or discoloured. The need for manual rework tasks such as cleaning and deburring is also eliminated. The Perforex LC 3015 is not only ideal for use with stainless steel, but also with sheet steel and powder coated metal plates. It has a machining surface of 1,270 mm x 850 mm x 2,250 mm. Stainless steel and steel sheets in material thicknesses of up to 3 mm can be machined with a cutting width of only three tenths of a millimetre and at a speed of approximately 550 mm/min. Payback on investment in the system for controller manufacturers and plant constructors is relatively quick – after just 150 stainless steel enclosures or 300 steel plate enclosures per year. HP’s guest blog writer Cole Humphreys, writes about racks testing on the HP blog. Find below blog and video links. 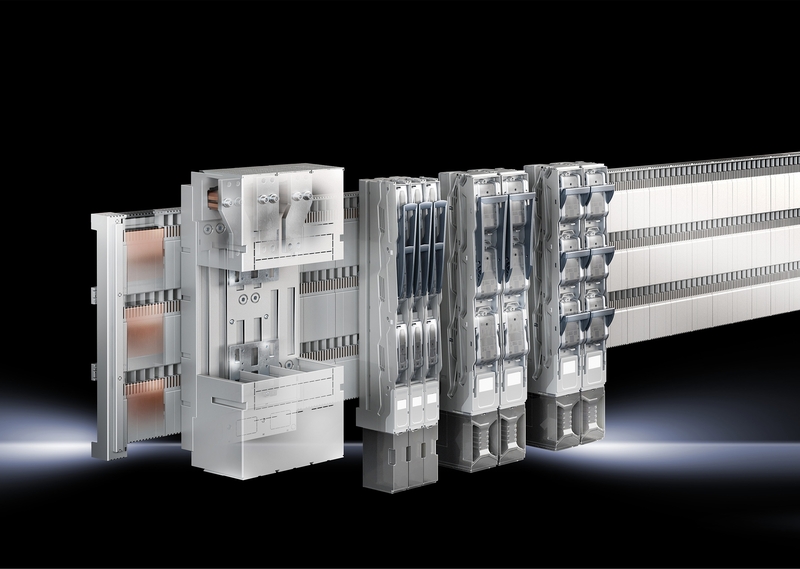 Rittal, a leading global provider of solutions for industrial enclosures, power distribution, climate control and IT infrastructure, has launched a new modular Ri4Power busbar system with a 185mm busbar centre distance. TS 8 enclosure range. Offering current ratings of up to 1600A and a short time withstand rating of 50kA for one second, the Ri4Power system meets the current switchgear standard IEC 61439-1. It is easy to install with no drilling required and integral contact hazard protection, making the system both safe and secure and a quick fix to a punched rail system. The busbar has adaptors ranging from 800A to 1600A for the safe use of standard compact air circuit-breakers available from leading moulded case circuit breaker manufacturers. The circuit breaker can therefore be fitted directly onto the busbar which in turn reduces the amount of space needed within enclosures to accommodate Ri4Power systems. NH slimline fuse-switch disconnectors are available in single pole or 3-pole versions enabling a very compact busbar distribution system. The new design maximises heat flow for optimum heat dissipation within the enclosure. The system employs snap-in technology so not only is it very quick and easy to assemble, there is also no need for tools. Up to four PDUs can be mounted in the zero-U-space, (the space between the side of the 19-inch level and the side panel of an 800-mm wide IT rack) so no height units for servers are wasted. Options include:The “PDU basic” which provides a robust and compact basis power distribution for the IT environment. The insert strip is easily connected and is immediately functional. The “PDU metered” variant has an internal web interface and an ethernet port so performance data on an entire IT rack can be cost-effectively monitored. The “PDU switched” model builds on this functionality, allowing the user to turn individual output slots on and off via the web interface. Finally, the “PDU managed” version takes this one step further. It has been developed specifically for use in high-end IT racks and offers power distribution with power measuring and monitoring functions for each individual output slot. All the PDUs feature the standard international data centre CEE connectors with a three-metre long connection cable and C13 and C19 slots. A country-specific variant is also available for the UK market. They are available in single-phase or three-phase versions; phase currents of 16 A and 32 A can be supported, depending on the type of PDU, which means electrical outputs of over 22 kW can be distributed by one rack PDU. The complete PDU range can be easily integrated in a Data Centre Infrastructure Management (DCIM)-Software application such as Rittal RiZone. This is achieved automatically by the Autoscan function with Rittal’s RiZone software. As a result, energy consumption is monitored efficiently and safely, and then logged. 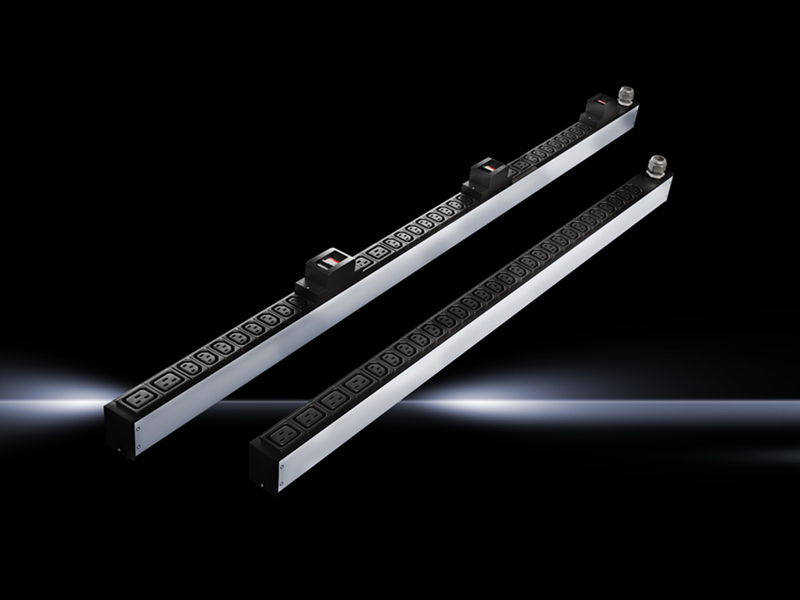 The intelligent power distribution bars can be easily configured and managed via a web interface. All measurements such as voltage, phase and neutral currents, as well as active and apparent power, active energy and power factor are displayed on a web page. Suitable alarm limits can be clearly defined so that the administrator can react quickly in an emergency. The Computer Multi Control (CMC) III monitoring platform, with its own CAN-bus function and (optionally) up to four sensors, can also be connected up to monitor temperature, humidity, and access. The sophisticated user administration system protects the power distribution from unauthorized access. Manufacturing can become faster and much more flexible with consistent, IT-assisted value chains. 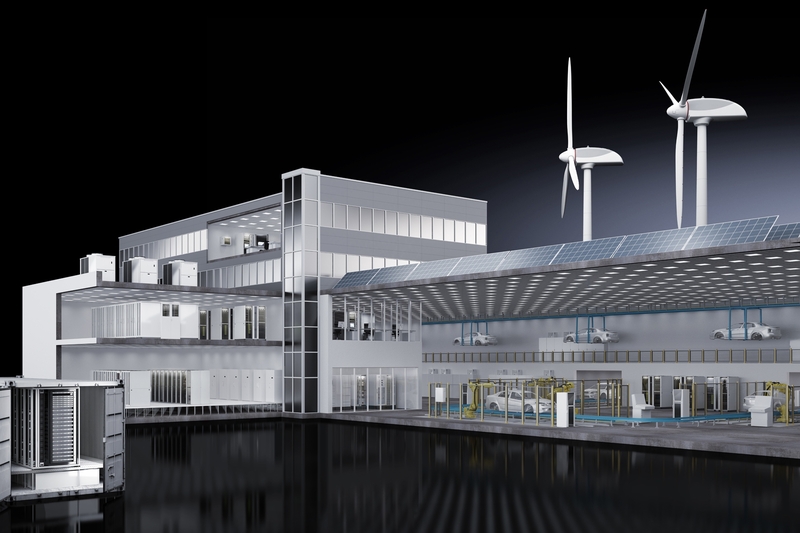 A newly published whitepaper from Rittal shows the key role IT plays in what is termed Industry 4.0 and explains how companies can establish the infrastructure that is required to bring the concept to fruition. The new “IT infrastructure in the context of Industry 4.0” whitepaper from Rittal is now available to download. The document is aimed at decision-makers as well as anyone responsible for production and IT and details the opportunities that Industry 4.0 is creating through new and existing infrastructures. The whitepaper shows how IT and production can be effectively interlinked, and outlines the interdependence of “back office” and “factory” functions. It also highlights the similarity of the challenges faced by production managers and system administrators as well as the differences that continue to exist between them. To function effectively and maximise the benefits afforded by Industry 4.0 the differences between these two parts of the business must narrow. The whitepaper identifies data quality as one of the key requirements to deliver success under Industry 4.0. There are also some suggested practical ways that businesses can start to apply Industry 4.0 methodologies and a demonstration of how Rittal components and solutions can help create an Industry 4.0 infrastructure. Manufacturing needs to rapidly and flexibly adapt to new customer requirements and market demands. The concept of Industry 4.0 is one where businesses can automate their production processes to a greater degree, and where machines can network with each other, making production processes more flexible. The basis of Industry 4.0 is underpinned by IT systems that represent the entire value chain across design and manufacturing. It is a network of intelligent machines that communicate with one another creating self-regulating manufacturing processes and providing highly efficient volume production (even with small batch sizes). The “IT infrastructure in the context of Industry 4.0” whitepaper can be obtained free of charge from the Rittal website: www.rittal.com/whitepaper .